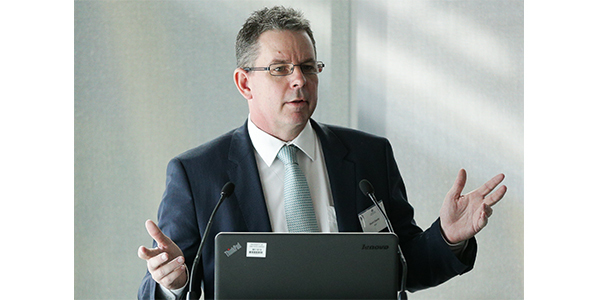 Stuart Charity, Chief Executive Officer of the Australian Automotive Aftermarket Association (AAAA). Australia’s leading body representing independent automotive repairers, the Australian Automotive Aftermarket Association (AAAA), issued a statement welcoming yesterday’s release by the Australian Federal Government of a Consultation Paper regarding a mandatory scheme for the sharing of vehicle service and repair information between car companies and Australia’s 23,000 independent automotive repair businesses. While supporting the Australian federal government’s move toward the establishment of a mandatory code for vehicle data sharing, the AAAA warns that some aspects of this Consultation Paper are inconsistent with the ACCC’s findings. “We welcome the steps forward that the Government has made in moving toward the establishment of a mandatory code under the Competition and Consumer Act (CCA) for the sharing of vehicle data with Australia’s independent repairers by releasing this detailed Consultation Paper today,” stated AAAA CEO Stuart Charity. “We are concerned about the language used throughout the Consultation Paper that relate to ‘exclusions’ and ‘restrictions’ that may be included in a mandatory code,” said Charity in his statement. “Of course, there will need to be safeguards in place to protect the security and integrity of vehicle related data, however vehicle security should not be used as an excuse by car companies to withhold critical information required to complete a vehicle repair or service. “These terms were not used in the ACCC Final Report and if they are included in the final code, we have no doubt that car companies will fully exploit this by linking all required information to either security, safety or emissions and in reality nothing will have changed for consumers,” Charity stated. “In order for Australian consumers to be treated fairly when it comes to the scheduled servicing, maintenance and repair of their vehicles, car companies should not be able to decide who receives information based on their own definitions relating to safety, security and emissions. The ACCC’s Final Report recommended that all required technical information ‘be shared with independent repairers on commercially fair and reasonable terms, subject to appropriate safeguards to enable the sharing of environmental, safety and security-related technical information’ and we fully support this recommendation,” Charity added. The Consultation Paper also refers to vehicle manufacturers potentially being able to determine the appropriate level of investment by independent workshops in order to receive access to service and repair data. It is the firm belief of the AAAA that this will provide vehicle manufacturers with the ability to charge exorbitant fees for information, special tools, training and equipment and is completely unworkable in a market that has more than 74 different car brands on sale. All this will achieve is higher servicing and repair costs for Australian consumers, defeating the entire purpose of establishing a mandatory code. The AAAA says it also would like to see greater acknowledgment of the important role of third party data aggregators in the Australian market. With 74 vehicle brands on Australia’s roads, combined with the need for consumers to be able to access convenient and affordable servicing and repairs wherever they live and for whatever brand of car they drive, the majority of repairers use data aggregators to access servicing information. It is commercially unrealistic for an all-makes-all-model repairer to subscribe to every individual car brands’ data service. The Consultation Paper does not discuss this sector in any depth, yet data aggregators are vitally important to enable the industry to provide consumers with choice and competition for vehicle servicing and repair work, AAAA says. Of additional concern is the Consultation Paper’s suggestion that there may be no penalties imposed for car companies while they transition from their current anti-competitive behavior in their own time. While it is only fair that an implementation date is established to allow car companies sufficient time to launch subscription services, there is no point in establishing a mandatory code that does not include sanctions for non-compliance once that phase-in period has ended, the association believes. “The AAAA will participate constructively in this Consultation process as it is a step in the right direction,” said Charity. “However we believe that after two separate government inquiries on this matter and over eight years of consultation, it is now time for the government to build on the ACCC’s findings and recommendations and implement a mandatory code as a matter of urgency. “We also have the advantage of being able to mirror the main attributes of the highly successful U.S. model, which has resulted in all relevant technical information being shared with independent repairers without limitations, exclusions or restrictions,” Charity added.